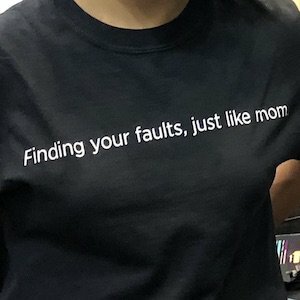 The shirt “Finding your faults, just like mom” slogan was coined by David Carasso. 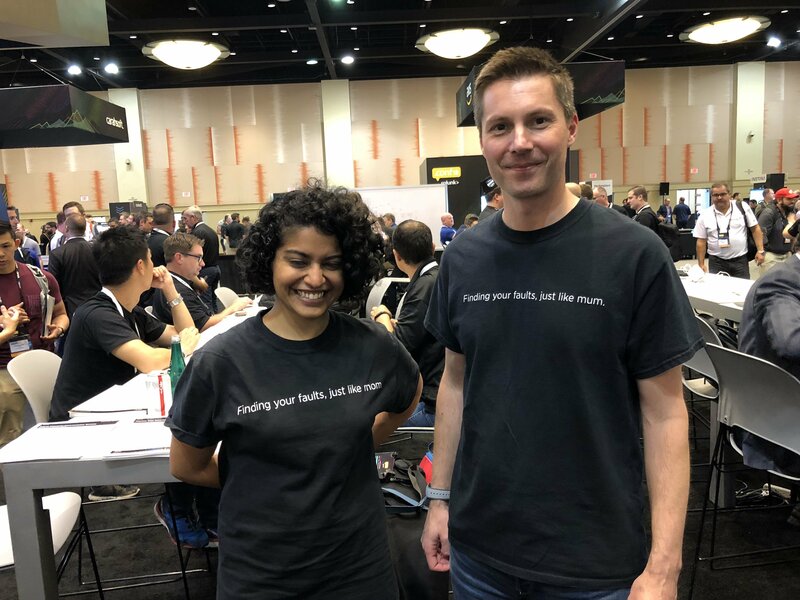 This slogan obviously is referring to a Monitor of Monitors (MoM) architecture that Splunk enables… but also can be taken as a reference to one’s mother. David Carasso sent one of the original run of these shirts to his mom, who liked it more after finding out he had come up with it.